Mention the name Mary Martin to a greying generation of Broadway fans and most will immediately think of her signature role as Peter Pan. Then talk about Peter Pan to a younger crowd and their thoughts turn to Dustin Hoffman and the late Robin Williams. But how different a take would people have of J.M. Barrie’s whimsical imp if instead of Mary Martin’s high-flying antics or Robin Williams’ improvisations they recalled Gene Kelly’s lush leaps or Ann Miller’s machine-gun tapping? 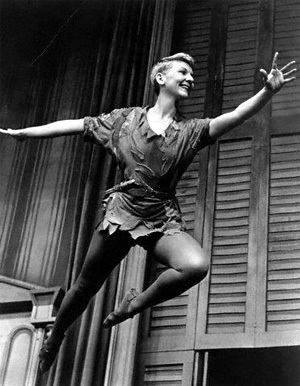 Broadway star Mary Martin is best remembered for her role as Peter Pan. 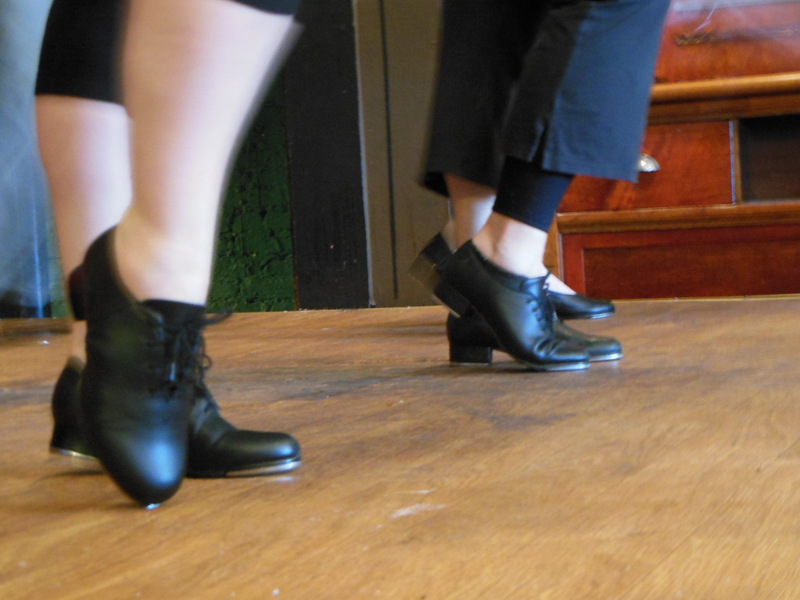 This Saturday night at The Yellow Sign Theatre, a high-stepping troupe called The Moxie Fords will dispense with the flying wires and take their audience on a toe-tapping trip to Neverland with Peter Pan – A Tap Dance Spectacular. This lovingly altered production of Barrie’s classic tale will feature irreverent song and dance performances by the exuberant company along with appearances by several very special guests. The Moxie Fords are a Baltimore-based performance group dedicated to sharing tap and other percussive dance forms with a comedic twist. Their growing membership includes people who have never tapped before, dance teachers, and self-confessed dance school drop-outs. The troupe is open to anyone who wants to learn how to tap. Admittedly, a tap-dancing production of Peter Pan sounds like a bit of a stretch, but the Baltimore Post-Examiner was invited to attend a rehearsal this past Sunday and from what we saw of the show it appears to be a spirited, delightful hoot. Craig Coletta, the managing director of the Yellow Sign Theatre, said that both the concept and the company fit perfectly with the free-wheeling venue. “The Yellow Sign exists so that people with talent, humor, and creativity and who are utterly lacking in pretense can say ‘Let’s try this!’”. 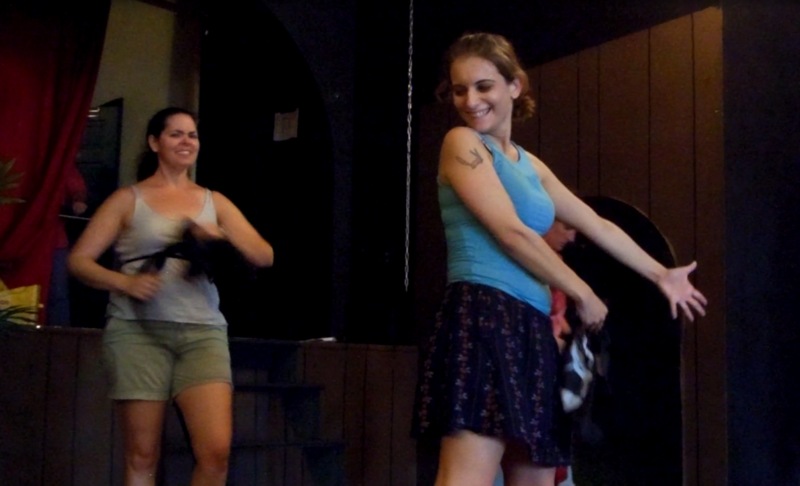 Bringing the buoyant bounce of more than a dozen dancers to the Yellow Sign stage is director Ann Tabor. The agile artist also appears in the production as Tink. Tabor said that The Moxie Fords sprang from a tribute act for a local variety show. Recreating the famous tap scene from Young Frankenstein seems like a natural. But we wondered how this production of Peter Pan came to be? Pulling together such ambitious shows takes time, vision and talent. Tabor said the talent is there and the performers are certainly willing to put in the hours. So what’s next? A tap-dancing production of the Golden Girls?